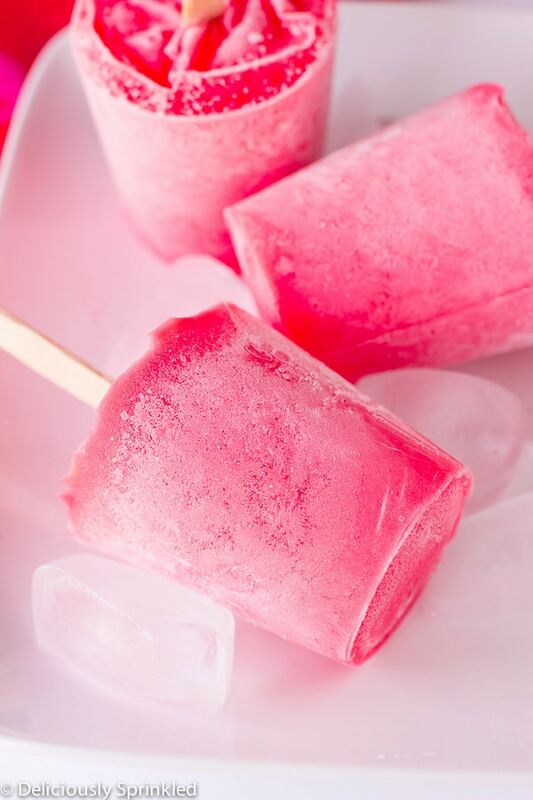 These Strawberry & Cream Popsicles are going to instantly become your new favorite summer treat! Let’s face it…summer temps can be a bit rough. While the sunshine is gorgeous and the outside greenery growing is nice, it can be so stinking hot that it’s hard to get outside and truly enjoy everything that summer has to offer. 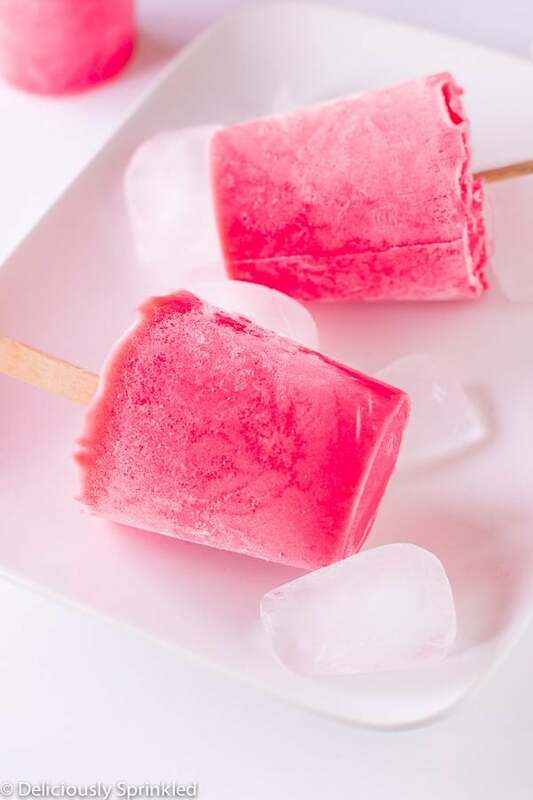 I’m happy to let you in on a little secret of mine…anytime that I get overheated in the warmth of summer, I cool off instantly with one of these Strawberry & Cream Popsicles. 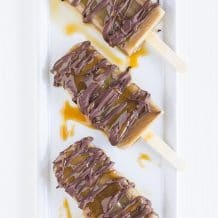 I take full advantage of the fact that I know how important it is to keep my taste buds cooled by enjoying each and every lick of these popsicles. I seriously love them. The flavor of strawberry and cream together are so perfect, that I honestly can’t see myself venturing out and trying any other combo! Not only that, but they are crazy easy to make as well. It takes literally no time for them to be made, frozen and enjoyed. Now that’s my kind of treat! If you are looking for a way to keep yourself and your taste buds cooled this summer season, give these Strawberry & Cream Popsicles a try. 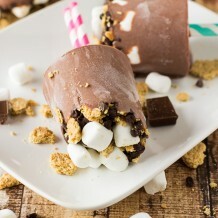 You’ll never want to buy or try another store popsicle again! 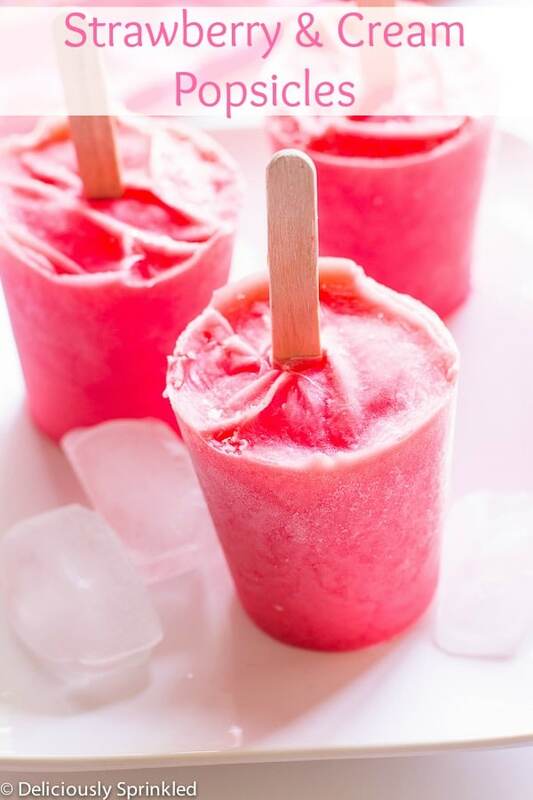 PAPER DIXI CUP: To make these popsicles I used small paper dixi cups. 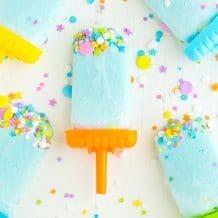 I like using dixie cups when I’m making popsicles because if you ever used a popsicle mold, you know that it can be so difficult to get the popsicle out of the mold. So with the dixie cups, it’s easy, take them out of the freezer and tear the cup off and enjoy. FLAVORS ARE ENDLESS: If you want to mix it up, just change the flavor of gelatin. I love orange and lemon flavor for the summer, too. STEP 1: In a large bowl, dissolve gelatin in boiling water. Cool to room temperature. STEP 2: Stir in the yogurt, milk and vanilla. STEP 3: Pour mixture evenly into each cup or mold; insert popsicle sticks. Freeze for 4 hours or until firm.